The outrage when President Trump refused outright to condemn the Saudi Crown Prince for his role in the murder of expatriate columnist Jamal Khashoggi, despite apparently overwhelming implicating evidence, was palpable and predictable. So too was the President’s response that his decision was based on his “America First” policy. Given Saudi Arabia’s influence on global oil prices, it was not in the interests of American industry and domestic jobs to be too critical and thereby risk escalating further already high global prices, if the Saudis felt provoked on the issue, he argued. The reaction to that was just as visceral. Here, yet again, was the President putting American domestic interests ahead of the concern of the rest of the world at an orchestrated act of international barbarity, the critics said. Most informed opinion around the world agreed with that reaction. Trump’s America was once again isolated as a self serving international pariah. In New Zealand over recent months there has been mounting concern over the steadily rising influence of China on various aspects of our domestic political and economic environment. First, is the still unresolved question of National MP Dr Jiang Yang and his previous and potentially ongoing links to Chinese intelligence agencies. Then, in the wake of the Jami-Lee Ross affair, was the row about the mounting influence of Chinese money in New Zealand politics and the particular hold that seems to have on both the Labour and National parties. Now there is the case of the University of Canterbury professor, Anne-Marie Brady, and whether she has been the subject of burglary and other harassment by Chinese security services. The Prime Minister says she will not comment until our Police have completed their inquiries into Professor Brady’s allegations, yet according to Professor Brady that inquiry was completed some time ago, making the Prime Minister’s continuing silence that much harder to fathom, and consequently that much more worrying. Taken together, the way in which the last two governments have reacted paints a disturbing picture. It seems that where China is concerned, New Zealand has become very reluctant to say a word out of place, presumably for fear of the economic consequences. China is our dominant economic partnership, and increasingly is becoming just as dominant in terms of our political and diplomatic relationships, as well. We seem extremely unwilling to say or do anything to upset the Chinese, lest we risk economic retaliation which could prove catastrophic. The irony is that putting our national interests first this way is fundamentally no different from President Trump’s America First approach to international relations which we deride as amoral, narrow and selfish. Yet, we seem to think we can get away with criticising the President of the United States for his excesses, while acting precisely the same way ourselves when it comes to dealing with China. While President Trump bullies, we have cowered and retreated for fear of causing offence. Whether the GCSB's rejection of Spark's plan to utilise Chinese telecommunications company Huawei in the roll out of 5G telecommunications services is a temporary glitch, or marks the start of a new approach to dealing with China remains to be seen (assuming of course the Government accepts the GCSB decision). It is significant that the Americans have been calling on their allies to freeze out Huawei for security reasons, and that New Zealand will be following Australia if it decides to do so. Already, there have been ramifications. Chinese displeasure at New Zealand's investigation of this is allegedly the real reason why the Chinese have postponed the Prime Minister’s proposed visit to China to “some point in the future”, not the scheduling issues as have been claimed here. Right now, though, New Zealand's position looks compromised. The Minister's mealy mouthed response to the GCSB decision and the National Party's warnings how badly this outcome will play in Beijing suggest strongly that some form of compromise will be arrived at to placate China's annoyance. Yet again, where China is concerned, New Zealand will cave-in. The Prime Minister modestly likes to compare herself to Labour greats like Norman Kirk and David Lange who spoke up fearlessly on the great issues of the day like apartheid and nuclear testing, and carried through their moral outrage on issues with specific actions that won international acclaim. But unlike Kirk and Lange, she still seems too full of talk. She needs to remember actions speak louder than words. I think China's friendship is too expensive for us. The NZ flag-change debate was a nod to China. Too much like the old Hong Kong one. Outrageous. Yes, it has been short term gain for long term pain for sure. Yes but the position that we are in currently is very delicate and we are far too dependant on the Chinese. In any business it is absolutely crazy to be overly dependant on one customer or sector. As I have been harping on well before it seemed politically correct to do so. China is a particularly risky country to be too dependent on, as it is a totalitarian state which has repeatedly demonstrated it will ruthlessly ride roughshod over countries and peoples with in it's orbit. (even its own people). I think that currently we rely on China for well over 20% of our trade. This need to be gradually and very diplomatically scaled back to nearer 10 to 15%. Much the same could be said about the USA, particularly at the moment. The worst place that we could ever be is caught between these disagreeable bullies. If we were smart we would be devoting all our efforts into developing trade relationships with normal average countries whose values are more like our own and without the tendencies to try and dominate everybody. The geopolitical question is very simple, and the craven fudging by both Labour and National won't make it go away. It is, who do we want dominant in the global order? Or, to put it another way who, is the least dangerous to the free world among the contenders? China? Russia? The US? Fixing on Trump's administration to the detriment of the US is to focus on one or two elections. Elections? You'd need a real sense of humour to promote those to even a US standard in China or Russia. Was that a threat below ? Keep your opinions quiet NZ or risk your lamb exports ? 1. What harm has China ever done to New Zealand? 2. Does New Zealand have any strategic importance to China? 3. Does China need New Zealand more than New Zealand needing China? NZ politicians needs to get real, be subjective, and know what "求同存异"，“己所不欲，勿施于人” means from time to time. The Huawei 5G ban will mean any progress on NZ-China FTA upgrade talks will be stalled. In very short term, NZ's chilled and frozen lamb and beef will probably be subjected to an increasing scrutiny at the border. "NZ's chilled and frozen lamb and beef will probably be subjected to an increasing scrutiny at the border" Good! We need to be reminded of what bullying looks and feels like on an international level. Besides; I can eat lamb and beef here, I can't eat a Huawei phone - and neither can our Chinese friends! "I can't eat a Huawei phone - and neither can our Chinese friends!" Dont be so sure, they're a creative lot when it comes to what you can put in food, baby formula, etc. But thay can online order uber eats NZ lamb. 1 It has done little so far but we have perhaps foolishly sat in Chinas lap. 2.Definitely yes if it came to it. Well NZ people is this the kind of deal that yo want your govt to sign up to? watch this space. What harm has China ever done to New Zealand? - As the article demonstrates, repeatedly interfered in our democratic process. Red China is the enemy, always will be, and the entire western world were fools to think Red China would reform with prosperity. Thankfully Donald Trump has been taking steps to correct this. You ruin a good post with your comment about elderly Chinese. Living in North Shore I sure meet a lot (eg today at the liesure centre attending the 'senior activity' class). However they are balanced by a similar number of elderly POMs such as myself. Some time ago I beleived as you but checking the INZ immigration stats proved very few elderly Chinese arriving in the last 8 years. Many arrived with plenty of money and bought houses - Prof Spoonley told U3A we should be glad Chinese immigrants have made us home-owners wealthy! We have a social benefits agreement with the UK - were I of the right age I could retire in the UK and receive a pension, as of writing. We have no such agreement with Red China. It's all one-directional. They are taking advantage of us, full stop. True but not all UK citizens have 30 years of UK contributions and of course some Chinese have large self-funded pensions. When you see elderly Chinese enjoying themselves spending NZ super some of them have lived here all their lives, some for 30 years and some the minimum 10 years. Same applies to native born Kiwis who have spent 30 years overseas and returned to NZ just in time to qualify for super. I agree that way back roughly pre-2010 immigrants from 3rd world countries including China were accepted as NZ residents with no thought to their economic costs (health care & pension). That was dumb NZ govt. But you can't blame them for accepting our generosity. I know if the Chinese govt offered me cash without strings I would take it. 1. NZ lost 33 kill in action during the Korean War - were any killed during combat with the Chinese Army. Just because NZ can not prove that China has harmed NZ does mean it hasn't or won't in the future. Something about head in a tigers mouth. 2. New Zealand I suspect has more importance to China than people would like to believe. I think what NZ says has a disproportionate influence on the world compared to our economic size and importance. 3. I think in different ways we need each other But economically NZ needs China. China is just a bully, no different from the US or Russia or UK of old. 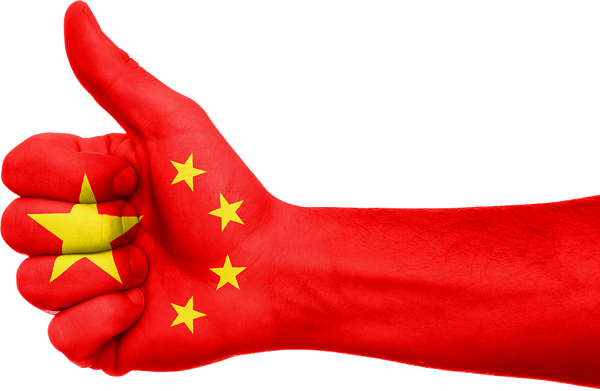 Do we really need China? Our Milk powder and timber is sold on an international market - China can choose to buy milk from Denmark and timber from Brazil and it would make no difference to NZ since the size of the international market would not alter. The two items of any significance would be tertiary education where we are subsidising the product with promises of residency and Tourism. A stop to Chinese tourism to NZ would be a jolt to our economy but it wouldn't take long to resolve with many other Asian countries with growing middle class. Xingmowing where does one start replying to your outrageous comments ? Does this not seem strange to you ? Why are you living in NZ if it’s so great in China ? That's not what was done though. They just got rid of the term limit for a leader making it no different to NZ in a way. I would have done the same. The people shouldn't miss out on awesomeness just because of some dumb, outdated rule. That rule didn't get sent down on tablets from Heaven you know. Hopefully the US will do the same before Trump's second term in office ends in 2024. Our cover this week looks at a bet that failed. The West hoped that opening up to China would turn a communist giant into a market economy and, eventually, a democracy. It has not happened. Chinese business acts increasingly as an arm of the state, China is challenging America across Asia as the dominant power and last weekend Xi Jinping set himself up as president for life. What should the West do now? With all due respect NL it was you ignorantly claiming that Xi made himself leader for life. Did you know Mike Shipman Zach ? I think this was the same person who tried to defend Mao - histories largest mass murderer. Killed millions upon millions and doubled the population at the same time. Objectively it was an impressive feat. There is little doubt that Mao was in charge when a single event caused the highest death toll in human history. The 50 million who died because of the 'great leap forward' probably don't care that historians are still debating whether it was cold-blooded murder by Mao or astonishing incompetance with nobody being brave (or suicidal) enough to tell him what was happening or countermand his orders. Apparently India had more famines under British rule too. Millions died while the British were in charge. Two million or so perished in 1943. We tend to be more forgiving of our own people's incompetence. It's only natural I guess. On the contrary, appreciation of the negatives of past imperialism should forewarn and forearm people of the dangers of the next power's turn at playing empire. You are correct - 2 million did die. Do you suggest we stopped fighting Japan and Hitler? Second point - there were only 1 POM per 2000 native Indians at the highest point of the empire (1900) how much can 1 person do for 2000? Obviously quite a lot but after indepence India still had famines. They kept happening until (a) American scientists invented new species of rice and (b) the ability to move food improved - better roads, more trucks, etc. We can think of a lot of excuses for our own atrocities but our enemies enjoy no such luxury. The rice stockpiles and boats in Bengal needed to be destroyed in case they fell into enemy hands. Stockpiles of wheat in Australia needed to be preserved. Ships were too valuable to risk. Exports of food from India were necessary even though Bengal was starving. Some must die so that others may live. Churchill had to make difficult decisions. However we can not tolerate any excuses for what may or may not have happened in China.We will just exaggerate it instead, make up a nice round figure like 50M. Always use the highest figure. Call it murder instead of famine. All's fair in love and war. Admittedly not my expertise and I did round up from the commonly accepted but disputed 45m. This is what I found online""At least 45 million people died unnecessary deaths during China's Great Leap Forward from 1958 to 1962, including 2.5 million tortured or summarily killed, according to a new book by a Hong Kong scholar."" The critical word is 'unnecessary'. We have to be careful with the statistics as a slight lowering of average life expectancy was extrapolated to work out casualty rates. If you died at 79 instead of 80 you were counted as a victim. All suicides victims even though China still has a high rate. All child mortality was added to the victim list. I've tried to find out from people who were actually there. They talk about being sent to the countryside and having to live off vegetables. I've seen many photos from that time. They look slim but generally happy. There are photos of the Bengal famine but I haven't seen any of starving Chinese. Rumours of things happening in the deep countryside. They say a lot say things were better back then. You could leave your doors unlocked and children could play safely outside. Families were closer. Country life was fun. It's kind of weird. The 1943 famine followed a Japanese invasion of Burma, which made Bengal the frontline. You cannot compare it to Maos famines, and it's disgusting that you'd try. You might as well tell me the holocaust was accidental. I've also seen people saying the concentration camps weren't death camps, but many people did unfortunately starve to death due to allied bombings cutting the supply line. We tend to dismiss that though. But I guess some victims are more important than others. I'm beginning to wonder about Zachary. Seems like him and a certain someone in here have a tendency to push CCP propaganda upon us here. I'm working on my credit score. Seriously, though, there is a big difference between removing the two term limit and electing a leader for life. It was the former that was done and not the latter. I know it sounds less dramatic but there you are. I don't like the limit and think it causes a shambles, lame duck Presidents and dynasties like the Bush Presidencies. "Introduce Huawei hardware and vulnerabilities into your critical communication infrastructure as a member of Five Eyes, or we'll blackmail you." Really? Surely it's a pretty small commercial deal for a company of Huawei's size. Why is it so important to you that Huawei infrastructure be used? This is the sort of thing Trump refers to in China needing to play fair. The rules cannot simply be "steal / compulsorily acquire other countries' IP", "blackmail in trade" etc. What benefit is it to countries to cede their infrastructure to China via the One Belt One Straitjacket debt-trap diplomacy scheme, or via introducing vulnerabilities into their communication infrastructure? The Big Hack: How China Used a Tiny Chip to Infiltrate U.S. Companies. The problem with the state-corporate model (a la Huawei's strong links with the CCP) is the danger that the CCP comes first, and the customer a distant second. Great. Lamb is over priced here and is cheaper in London. NSA to the left, China to the right...I reckon go with the one that dosent force organ harvesting on its population. Realpolitik. The only thing we gain if we fight china's bad behaviour in a public way is a huge economic beat-down (remember the huge damage done by our public shaming of France after Rainbow Warrior attack + Nuclear ships ban?). Quiet defence of our nations institutions and people from Chinese malevolence and hegemonic ambition is the sensible course. A realpolitik approach is the only sensible option for this tiny vulnerable nation. But with a mounting tally of ministerial failures and now the latest Lees-Galloway debacle and Andrew Little giving out mixed and confusing messages on the Huawei scenario, we have cause to be worried about the capability of Ardern's ministers to provide her with the sound advice needed to steer NZ through this crisis. She demonstrated inexperience and appalling judgment in publicly mocking Trumps hair (hilarious as it is ! ), who knows if she'll suffer a similar brainfart and say something dumb about the Chinese. And would National be any different - they just sell influence. So reject Huawei but just don't tell anyone? Require NZ citizenship (which many Chinese imports are loath to take) in order to vote or contribute to political campaigns, but just keep it low key? Quite a balancing act, that one. Over Armestice day weekend I was thinking of how much people were willing to sacrifice for the greater good of NZ and NZ ideals, and how different that seems today, at least in terms of our 'leaders'. Don’t remember a flood of elderly French ? This is why people are incredibly naive when they say about NZ's most productive land and water assets: "What does it matter who owns the land? They can't take it out of New Zealand and we can legislate over it." We couldn't keep two murdering French terrorists in jail. While Key and National were enjoying making a quick buck, they completely ignored any long-term geopolitical implications of their short-termism. Ignored or just of lesser concern to them? When you're driven by money, then I guess that's what shapes your behaviour, no? “.... we can legislate over it.” An example of your point. Crystal clear artesian water being pumped out of Christchurch surrounds by the billions of gallons for no cost and sold at a handsome profit in China. while at the same time Christchurch citizens are forced to drink heavily chlorinated water. With that sort of bureaucratic incompetence NZ couldn’t legislate to save itself even if it knew how to. Agree Foyle, what seems ages ago that was sort of called passive resistance. And it has been proven to work very effectively. Trouble is NZ is a small country with a big opinion. Perhaps that is a hangover from being a reasonably senior British Commonwealth country for all those formative years. Internationally NZ has not been able to slipstream along in the comfort of that since about the sixties. Great little country though. Hope we don’t muck it up. I am waiting for the PRC to unfurl 'recently discovered' maps that show NZ has and always will be part of China. They already try and push the revisionism that Australia was discovered by a Chinese admiral. That's a thing of Pauline Hansen's nightmares, right there. Ah yes, the old '17 dashed line' (and counting) map, just recently discovered in Beijing. Actually it was discovered by the Aborigines - but lets just ignore them. Umm they are already saying NZ was first discovered by them... "squadrons from the fleet of legendary admiral Zheng He, between 1421 and 1423, not only discovered the Americas, but also Greenland, Antarctica, Australia and New Zealand.". Sounds like Zheng He discovered any country that now has valuable arable, mineral or other resources. Jeez and I always thought it was found by some aboriginal dudes. Got to keep the stealth invasion going. The Bureaucrat and Politician Party depend on it. It's not about milk. It's about CCP people and CCP capital. It surely wouldn't be a true "Free Trade" agreement. Trump has made it clear the US's interests will dominate, and that means they will subvert NZ's interests. NOT FREE! If you noticed the recent renegotiation of NAFTA, one of the conditions was that no country could have a free trade agreement with a 'non free market economy' nation, i.e. China, or they would violate the terms of the agreement. I think that's a great idea. So as long as you have a so-called FTA with China (which isn't really an FTA at all, it is so laughably asymmetrical) then you will likely never have one with the USA. Hands up who's comfortable with China's organ harvesting of dissidents and wide scale suppression of religious and social freedoms? These are extremely important conversations to have. NZ needs to decide what sort of country we want to be in the future. Lots of people lose sight of the fact that economic prosperity or lack of translates to lives saved ... or lost. Another million in the health system or improved roads or education or superannuation etc can save a life. So there is always more that just income at stake. How many lives are principles worth? Working Man uses the term "Free World" in his comment above, and Peter Dunne's article and many other comments imply it without actually using it. We should ask ourselves what this term means and if our democracy is still important to us. John Key and Helen Clark clearly didn't think it was so important as to limit foreign influence. Jacinda, as Mr Dunne points out, seems a little conflicted. Are we to become another Chinese province, or are we to continue to be a western cultured, Western aligned, independent democracy? This is an important political debate. As Peter has pointed out whichever path we choose politically, our leaders will need some courage to stand to it, and there will be a price to pay. Helen Clark gutted our military, at some cost politically. Australia and the US, if we choose the western side, will reasonably expect us to up our contribution to defence. Conversely our geographical position makes us a defence liability in our current posture. The cost of restoring our military will not be small, and will demand a far more pragmatic and realistic attitude from our military leadership than has been demonstrated over the last twenty to thirty years. China of course will not like this, as being able to actively contribute to regional security will add to the threat against their plans. Let us have the debate, not shoot the messenger. You are at risk of demonstrating your own lack of integrity and intelligence. Why not trade with a identifiable geopolitical enemy prior to any future conflict? Wow, US and UK traded with Germans and Japanese right up until the fight. The world keeps turning. Until the fighting starts fill your boots! I shudder in fear at the though of no USA between us and the communist party of China. Their behavior is being modified due to the US Marshall...without that threat, they would do whatever they pleased. To think otherwise is dangerously silly. Eventually we will make the hard call. The trade back lash could be immense. Totally agree. And with out the nuclear deterrent the we'd probably be up to WWIV by now. - WWIII would have been with the Soviets. That is how Reagan did it. When it came down to it the USA outweighed the USSR vastly in both conventional & nuclear military capability. USA has five States of greater individual GDP, and another three or four near to equal, than the USSR. Reagan flexed some muscle and stared em down. That was a major influence of the collapse and fragmentation of the old Soviet Union. As long as Trump invests in the USA military capability and gets the world to think they are the supreme super power still, then the global balance of power will remain as it is, meaning the world is relatively safe provided some madman in power doesn’t get out of control. There it is. Armageddon, as per Spike, I’m a geddon out of here. we are a long way off where we were when we stood up to the world with our anti-nuclear policy! We need to stand up now and call a spade a spade. Any inappropriate attempts to influence our government or way of life by China are unacceptable. If we make a stand others will follow. China needs other to buy their exports to and remember that a lot of international companies produce goods in China. The first three are probably non negotiable. China has no doubt seen that if you give an inch they take a mile like what happened to Germany after WW1 and Russia after the wall came down and with every indigenous people they ever encountered. Agree. If the Chinese can't behave like sensible human beings then tell them to f..... ...f! We now have half a million Chinese (mostly) living in NZ. If 1% of them were reporting to Beijing that 5,000 of them actively gathering secrets, bullying lecturers, buying influence & God knows what else.... right here under our noses. I think my 1% estimate is very conservative, by the way. They are settlers not immigrants. I'm beginning to understand how the Maori must have felt 200 years ago. So we should not have China having any influence within New Zealand. However, it seems fine for the US to dictate to us. Are the US claims regarding Huawei legitimate security risks or are they part of US anti-China foreign policy? There was plenty of antipathy toward American interference vis-a-vis the Kim Dotcom saga (militarised helicopter raid over Coatesville, and Customers "brownie points" erosion of government branch separation) and the TPP (seeking to undermine Pharmac, enacting the Mickey Mouse Protection Act). However, most people are realistic that both countries will spy on NZ. But most would probably choose a historic ally rather than the next aspiring empire on the block. printer8, China is a deadly opponent - nationally and internationally - of the freedoms we take for granted in New Zealand. Its influence here, which has been allowed to run widely, is no benign friendship to our way of life. If our politicians actually want to preserve our own freedoms (act on behalf of our values), and if New Zealand wants to play any respected part in maintaining a half-decent global order, we need to avoid any further encroachment on our political, economic, academic and technological infrastructure. So you are clearly sitting on the fence regards our relationship with China - not. Luckily you don't have your finger on our nuclear button. That seems like a bit of hyperbole. It is well and good to protect our existing technology from Chinese predation. But the problem is NOT what the Chinese are doing, but we are AREN'T doing. China’s plan to judge each of its 1.3 billion people based on their social behavior is moving a step closer to reality, with Beijing set to adopt a lifelong points program by 2021 that assigns personalized ratings for each resident ... The Beijing project will improve blacklist systems so that those deemed untrustworthy will be "unable to move even a single step." What a time to be alive. And what a shame to not have the likes of George Orwell or Christopher Hitchens around these days. I'm sure Fran O'Sullivan (finance reporter for NZ Herald and “Head of Business, NZME” and co-chair of the China Business Summit and on the Advisory Board the New Zealand China Council) will call our comments examples of "China Derangement syndrome" as she did yesterday about Anne-Marie Brady for publishing an academic essay many months ago. Fran O'Sullivan seems to be implying the break-ins at Prof Brady's office and her home and the deflating of her tyres were her own fault since they were subsequent to the essay. One should not forget that NZ has become a colony of China so one has to be carefult so as not to upset the superiors.